A number of individuals named Douglas, at least some of whom formed an extended family network, were active in Guyana from the early 1760s. By the 1790s a number of other men named Douglas, but not known to be related, owned property or traded in Guyana. In bankruptcy proceedings in 1802 Hugh Douglas was described as 'originally a native of Scotland' who 'had long carried on business in Demerara, from which he returned in November 1800 to Glasgow, where he resided for two or three months' before retuning to Demerara. [Decisions of the Court of Session] His partnership of Hugh Douglas & Co in Demerara was dissolved in 1804. In 1817 'Hugh Douglas Esq of Douglas Hall, late of Demerara' married Agnes Peters in Glasgow [Scots Magazine]. Douglas was at this time a merchant in Port Glasgow [OPR 574/00 0070 0304]. In 1835 Hugh Douglas 'a gentleman in Glasgow' claimed compensation of over £7000 for the emancipation of 144 slaves on plantation Hope. There was a counterclaim from J, T and A Douglas & Co (see below). Also in 1835: Died yesterday afternoon, much regretted Margaret, youngest daughter of Hugh Douglas, Esq., formerly of this colony [Guiana Chronicle Friday 26 June 1835]. Gilbert Douglas (1749-1807), at the time of his death, owned a sugar plantation, Mount Pleasant, in St Vincent and a cotton plantation, Fairfield, in Demerara [NAS CS96/4901-2]. 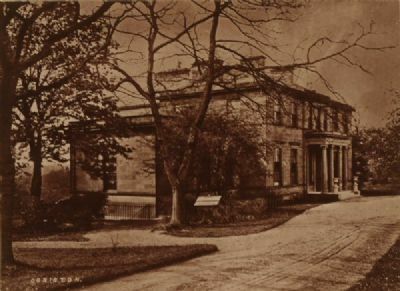 In 1794, aged 45, he married 23-year old Cecilia Douglas (1771-1862), and in 1800 bought a substantial house outside Glasgow, which he renamed Douglas Park. The two families described below were all descended from Catherine Dunlop and William Douglas, a merchant in Leith. For a family tree see William Douglas on Ancestry (subscription required). Gilbert Douglas's wife, Cecilia Douglas, had seven brothers. John [1768-1841], Archibald [b1778] and Thomas Douglas [1779-1869] had interests in Berbice and Demerara and formed the Glasgow-based merchant house of J. T. and A. Douglas & Co. They were all the children of John Douglas snr, a Glasgow merchant, and Cecilia Buchanan (b1748). For family tree see John Douglas on Ancestry [subscription required]. Colin Douglas [b1781]. He is probably the Colin Douglas who was drowned off the quayhead there on 27 February 1827 (Greenock Advertiser 10.4.1827). He had a daughter Helen [1815-73], who married in Demerara but later came to Scotland. James Douglas [1779-1852]. He had a daughter Cecilia [b1816 in Demerara]. She later lived in Glasgow and received an annuity of £200 at her father's death. 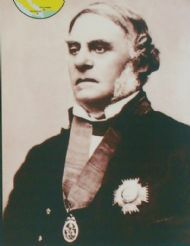 Another son, Neil, became a Lt General and was knighted in 1831. These were sons of Robert Douglas (b1723), a brother of John Douglas snr (above). For a family tree see Robert Douglas on Ancestry (subscription required). Robert Douglas (1759-1847) a shipbroker in London, but also referred to as 'of Ardrossan', (1759-1847) traded tobacco from Virginia and is said to have visited the West Indies regularly. His brother Colin Douglas lived for a time in Demerara, dying before the marriage of his daughter Mary Douglas in 1819. Sholto Douglas (d1848: London Gazette) was manager of plantation Spring Hall, Demerara, in 1838, when he received a gold medal from the governor for his treatment of apprenticed labourers (former slaves still bound to their plantations) [Parliamentary Papers]. He had himself received compensation for eight enslaved people at emancipation in 1834 [British Guiana claim 778]. It is not known what, if any, relationship he has to other Douglas families in Guyana. He was married to a Janet Gordon and their daughter, Catherine Elizabeth Douglas, was born in Georgetown about 1841. She married George Balfour Mackenzie-Ross (of Aldie, Ross-shire) in the colony in 1862.